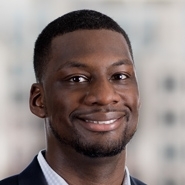 Associate Julius Redd (Washington, DC) was recently selected by the National Bar Association (NBA) as one of the 2016 recipients of NBA’s “40 Under 40 Nation’s Best Advocates” awards. The awards recognize the nation’s top lawyers under the age of 40 who exemplify a broad range of high achievement in the legal field, including in advocacy, innovation, vision, leadership and overall legal and community involvement. Hundreds of attorneys were nominated for this prestigious award. The recipients were honored at a black-tie awards gala in July during the NBA’s 91st Annual Convention in St. Louis. Separately, NBA’s Young Lawyers Division presented Julius with a Certificate of Appreciation for his work with Clemency Project 2014 (CP 2014). CP 2014 is a working group of various entities that recruits and trains attorneys to submit clemency petitions on behalf of non-violent, low-level federal inmates who have served at least 10 years in federal prison. In 2014, the justice department announced a new initiative in which the Obama Administration would grant executive clemency to low-level federal inmates who meet specified criteria. CP 2014 has recruited and trained nearly 4,000 volunteer lawyers who have reviewed the records of over 32,000 inmates and have submitted more than 1,500 petitions for executive clemency. Julius spearheads and manages the firm’s half-dozen attorneys who represent clients through CP 2014 on a pro bono basis. He also represents three federal inmates through the initiative. On August 3, President Obama commuted the sentence of a firm client to expire on December 1, 2016, eight years earlier than the client’s original release date. “I cannot think of anyone more deserving of these honors than Julius. His efforts on behalf of our clients in litigation and counseling and his leadership of significant pro bono work are a model for others to follow. We congratulate him for his accomplishments, and are proud he is part of our firm,” said Managing Principal Ben Wilson.